Our beliefs and concerns in five specific domains – vulnerability, injustice, distrust, superiority, and helplessness – profoundly influence our personal and collective lives. They contribute to how we make sense of the world, and they are key lenses through which we form judgments about desirable priorities, policies, and actions. Here I apply this “dangerous ideas” framework to current events and to the challenges we face in our efforts to promote progressive social change. "The position of the American Psychological Association is clear and unequivocal: For more than 25 years, the association has absolutely condemned any psychologist participation in torture." "The American Psychological Association, the largest professional organization for psychologists, worked assiduously to protect the psychologists who did get involved in the torture program." New information may soon be revealed by the Senate Intelligence Committee’s yet-to-be-released report on the CIA’s post-9/11 abusive and torturous detention and interrogation operations. But what already has been clear for a long time – through reports from journalists, independent task forces, congressional investigations, and other documents – is that psychologists and other health professionals were directly involved in brutalizing “war on terror” prisoners in U.S. custody. Of particular note, contract psychologists James Mitchell and Bruce Jessen have been identified as the architects of the CIA’s “enhanced interrogation techniques,” which included waterboarding, stress positions, exposure to extreme cold, sensory and sleep deprivation, and isolation. At the same time, what has remained a matter of dispute is the extent to which the American Psychological Association (APA) collaborated with and worked to support the intelligence community and its program of torture and cruel, inhuman, and degrading treatment. Critics (including both of us) have argued that the APA repeatedly failed to take the steps necessary to prevent the misuse of psychology, instead allowing perceived opportunities for a “seat at the table” to trump a firm commitment to professional ethics. In response to these allegations, the APA’s leadership has issued denials and statements asserting that the Association has always been steadfast in its opposition to torture. Where the truth lies in this ongoing debate just became much clearer with the publication of James Risen’s new book, Pay Any Price: Greed, Power, and Endless War. In a chapter titled “War on Decency,” the Pulitzer Prize winning investigative journalist offers fresh evidence from an unexpected inside source: Scott Gerwehr, a RAND Corporation analyst with close ties to the CIA, the Pentagon, and the APA. When Gerwehr died in a motorcycle accident in 2008, he left behind an archive of personal emails, which Risen obtained while conducting research for his book. The emails of particular interest are Gerwehr’s correspondence over several years with a small group of regular confidants and collaborators: the CIA’s chief behavioral scientist Kirk Hubbard (who introduced Mitchell and Jessen to the CIA as “potential assets” and then went to work for their firm when he retired from the CIA), White House science advisor Susan Brandon (who previously had been a senior scientist at the APA and is currently research director for the government’s High Value Detainee Interrogation Group), and the APA’s Director of Science Policy Geoff Mumford. Risen’s book offers important details about that collaboration. In July 2004, shortly after the shocking photos from Abu Ghraib prison became public, senior APA staff from the Ethics Office and Science Directorate arranged a private meeting with officials from intelligence agencies and the Department of Defense (DOD). The email invitation from APA Ethics Office Director Stephen Behnke – to Hubbard from the CIA, Kirk Kennedy from DOD, and Gerwehr from RAND, among others – noted that the purpose of the meeting, at least in part, was to “identify the important questions, and to discuss how we as a national organization can better assist psychologists and other mental health professionals sort out appropriate from inappropriate uses of psychology” (p. 198). It is difficult to discern how such constraints and reassurances could have served the interests of the public or the profession, or how they could have helped “sort out appropriate from inappropriate uses of psychology” as Behnke stated in his invitation. Rather, these pre-conditions ensured that the actions of the psychologists in question would be protected from scrutiny rather than questioned – and that the CIA and DOD would take the lead role in establishing the ethics for psychologists in U.S. counter-terrorism and counter-intelligence activities. The national security psychologists would also guide the APA’s response to resistance or uproar from the public or its own members. In this regard, critics have long noted irregularities and possible collusion in the PENS process and the report itself. For example, most members selected for the task force worked for the military or intelligence agencies, and several had served in chains of command where detainee abuses reportedly took place. There were several participant-observers whose identities were never officially disclosed; among them were Susan Brandon, who had just recently left a position at the White House, and Russ Newman, a senior APA official whose spouse was a BSCT psychologist at Guantanamo. APA staff withheld the names of the task force members in response to press inquiries, and these names never appeared on the published report. The APA Board quickly adopted the PENS report in an inexplicable “emergency” session, without bringing it to the Association’s full governing body for review. The report included language nearly identical to the DOD language provided to the task force before the meeting had even started – namely, that psychologists serve to keep detention and interrogation operations safe, legal, ethical, and effective. And the task force and report prioritized the Bush Administration’s contorted interpretations of U.S. law over longstanding and broadly respected principles of international human rights law and health profession ethics. After succeeding in getting the PENS task force to endorse the continued involvement of psychologists in the interrogation program, congratulations were in order among the small number of behavioral scientists with connections to the national security community who had been part of the effort. In a July 2005 e-mail to Hubbard from Geoffrey Mumford (on which Gerwehr was copied), Mumford thanked Hubbard for helping to influence the outcome of the task force. “I also wanted to semi-publicly acknowledge your personal contribution… in getting this effort off the ground,” Mumford wrote. “Your views were well represented by very carefully selected task force members.” Mumford also noted that Susan Brandon had served as an “observer” at the PENS task force meetings and “helped craft some language related to research” for the task force report. (p. 200). In unmistakable terms, the APA’s Science Policy Director Mumford first thanked Hubbard – a top CIA official with close professional ties to Mitchell and Jessen – for initiating the collaboration that led to the PENS report and then assured him that the task force members were carefully chosen with Hubbard’s own expressed objectives in mind. As well, the same email reveals that part of the responsibility for drafting the PENS report – a report that was supposed to reflect a full and careful consideration of the APA’s ethics code – was given to Susan Brandon, who only weeks earlier was working for the Bush White House. Beyond the evidence highlighted here, Risen also offers a broader description of psychologists’ and the APA’s involvement with and acquiescence to U.S. government torture and abuse. Based on his research, he reports that those psychologists who supported the White House and CIA agenda “were showered with government money and benefits,” and that the APA “worked assiduously to protect the psychologists who did get involved in the torture program.” Risen also notes that changes to the APA’s ethics code in 2002 “gave greater professional cover for psychologists who had been helping to monitor and oversee harsh interrogations.” Indeed, he suggests that the entire “enhanced interrogation” program may have depended upon the willingness of the APA to go along with it. Finally, he refers to the desperate “spin control” that absorbed senior APA staff once journalists began to uncover the extent to which psychologists played essential roles in the torture program. It is reasonable to wonder whether Risen’s investigative work will matter. 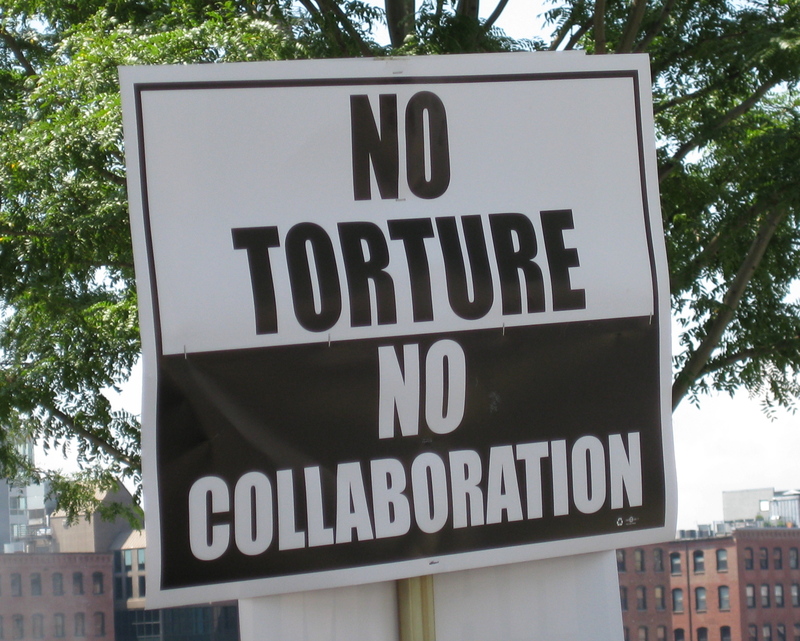 For the past decade the APA’s leadership has repeatedly denied any collaboration with the military or intelligence agencies that engaged in torture and abuse. Such APA statements have consistently been coupled with a professed resolute commitment to defend the profession’s do-no-harm ethics. Even when these pronouncements have strained credulity, the APA’s rank-and-file members – eager to believe that critics’ assertions could not possibly be true – have accepted the claims of innocence and independence. This insistent benefit of the doubt, along with unwarranted deference to APA’s leaders, continues to insulate the Association from calls for investigations, accountability, and reform. To date, no psychologist has been held accountable for involvement in the abuse and torture of detainees, and no APA official has been held accountable for facilitating or protecting government programs that violated core professional ethics. Several questions will be answered in the days immediately ahead, as the world’s largest organization of psychologists grapples with the damning revelations in Pay Any Price. Will APA members once again dutifully follow the Association’s leaders and drink from a polluted well of tired clichés and obfuscating language? Will they still find feeble justifications and implausible denials palatable? Or will the membership and the governing Council of Representatives finally demand the substantive independent investigation that is so long overdue? With the profession’s ethics and credibility hanging in the balance, we believe it is certainly time to hold the APA accountable for the choices it has made. Note: My thanks to co-author Trudy Bond. This essay first appeared in Counterpunch. Roy Eidelson, Ph.D., is a psychologist who studies, writes about, and consults on the role of psychological issues in political, organizational, and group conflict settings. He is president of Eidelson Consulting, past president of Psychologists for Social Responsibility, a member of the Coalition for an Ethical Psychology, and a consulting partner at Cognitive Policy Works.